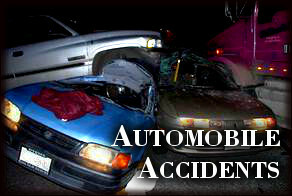 The costs of motor vehicle accidents in medical expenses, property loss and lost productivity can be devastating. Because the losses are so costly, insurance companies are often reluctant to pay the full amount. They often try to settle with their insured drivers for less. If you were injured or suffered other losses in a car crash, you do not have to settle for less than you are owed for your loss. 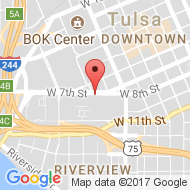 A Tulsa automobile accident attorney at the Wirth Law Office can provide legal representation so you can get every dollar due to you. 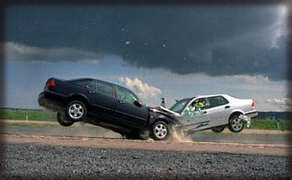 Some insurance companies advertise their quick response and friendly claims service. They may provide you the number of an agent or adjuster to call, and urge you to reach them right away after a car crash. They might even provide a convenient app to get the process started on your cell phone. Hold your horses. You paid for insurance, but the adjuster does not work for you. The adjuster represents a company that owes you money. Before you talk to an adjuster eager to take your statement and hand you a check, consider getting someone on your side who will represent your interests. If you have been injured in a motor vehicle accident, contact an automobile accident attorney at the Wirth Law Office today. 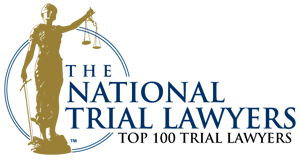 Experienced Oklahoma personal injury attorneys can help you get the compensation you deserve. The call is free and you pay nothing unless and until you get the payment you deserve. Call an auto accident attorney at the Wirth Law Office at (918) 879-1681. When you are injured in a car crash, your most immediate concern must be for your safety and the safety of others involved. Anxiety and adrenaline run high but keep a cool head. Find a safe place, out of oncoming traffic — including away from vehicles that might steer around the crash scene. Note the time and location of the crash. Report details to police accurately, including any injuries you have suffered. Because it can take days or weeks to get an accident report from police, ask for the names and identifying information of other drivers involved. If witnesses are around, ask for their names and contact information. If you are seriously injured, let paramedics or other official rescue personnel on the scene assist you and transport you for treatment at a hospital. If you don’t require emergency care, but still believe you are injured, seek care from your preferred physician, an urgent care clinic or an emergency room. Explain to medical personnel details of your injuries. A cell phone or pocket camera can be helpful in recording evidence at the crash scene. If your are transported to the hospital, ask someone you trust to take photos or notes of the scene. Pictures of your vehicle, debris or obstructions related to the crash and even skid marks — or the lack of skid marks — might later prove to be important. Comply with police orders, but be aware that others on the scene may try to collect evidence for another drivers’ insurance company. You may be required to provide your own insurance adjuster a statement but you are entitled to talk to an attorney before you talk to an insurance adjuster. If someone asks if you are okay, you might not know. Say “I think so” or “I don’t know yet.” You might find out about hidden injuries later. You don’t have to talk with media. You may be sorry it happened, but an apology on the scene can imply you think you are at fault. If you must, express your concern for everyone’s well-being and safety without saying you’re sorry. Even if you think you’re at fault, facts may emerge that show otherwise. There’ll be plenty of time to apologize later if you need to express remorse. Insurance adjusters and their attorneys respond to crashes every day, working each case from the crash scene all the way appeals court if necessary. They know what to look for to improve their case. On the other hand, you have little experience with auto accidents and your best hope may be to get on with your life. That is when you need a skilled legal advocate. An attorney working on your side can contact witnesses, keep up with deadlines, know the law and stand up to opposing counsel. According to the Centers for Disease Control, motor vehicle crashes are the leading cause of death in the U.S. among those between 5 and 34 years of age. When you are injured in an automobile accident, you may be owed damages not only for your medical costs and lost vehicle, but for consequential damages. Those losses can include lost wages, costs of transportation while your car is repaired or replaced, extra household costs, loss of irreplaceable items and more. Don’t settle for less than you are owed. Even if you have already talked to your adjuster, before you cash a check — before you do anything else — talk to a motor vehicle accident attorney. Contact an automobile accident attorney or Tulsa truck accident attorney at the Wirth Law Office for a free consultation. The call won’t cost a penny and you won’t owe anything until we collect the money you are owed. Do begin your free consultation with a Tulsa automobile accident attorney, call the Wirth Law Office at (918) 879-1681 (or toll free at (888) Wirth-Law) or submit the question form at the top right of this page.